Is Your Sports Metadata Inundated with Inaccuracies? 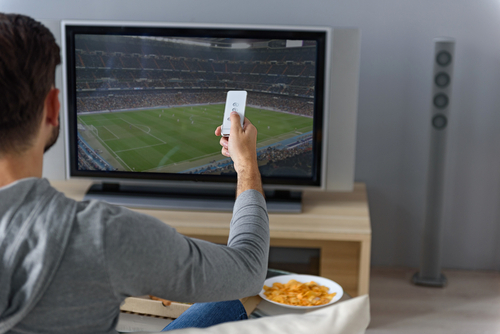 With the current excitement surrounding the 2016 Rio Summer Olympics, it’s important to keep in mind that sports metadata is powering EPGs, entertainment platforms and apps, ensuring that viewers are informed about the events, athletes and action. However, what should be considered is the provider of this sports metadata – many vendors are known for their poor quality and outdated information, as well as errors, issues and flaws. Whether it’s football, soccer, basketball or baseball, some companies just can’t seem to get it right. In this example, a metadata service has mistakenly displayed the flags for Sweden and Belgium during the UEFA European Championship, when the match is obviously between Portugal and France. Here, a vendor has failed to take into account coaching staff changes for the BYU Cougars football team. Bronco Mendenhall left in December 2015; Kalani Sitake is the current head coach. A summary writer for this data business is under the impression that the United States men's national soccer team is “led by Kyle Beckerman.” While he is on the roster, the captain is actually Michael Bradley. Despite the fact that the title indicates that the Cleveland Cavaliers are playing the Boston Celtics, the Atlanta Hawks are mentioned in the game description by this sports data provider. The National Fastpitch Coaches Association called out this metadata company when it incorrectly classified the ‘National Pro Fastpitch Draft,’ a softball event, as baseball – something that could affect content discovery. It’s 2016, but this television app has artwork from two years ago for the NCAA basketball tournament. And there are multiple errors in this hockey game description. Pittsburgh won the last meeting, 5-3, on March 13; the company here suggests it was the other way around, on a different date! Be sure that your TV platform, on-screen guide or app has the correct sports information and statistics for your viewers by selecting a metadata provider that is up-to-date and accurate.